Arsenal have been handed a major blow as their 32-year-old midfield general – Santi Cazorla – has been ruled out for the rest of the season due to an ankle injury. The 32-year-old, who has two Premier League goals this term, was forced to come off in Arsenal’s 6-0 win against Ludogorets in October in the Champions League and since then, he hasn’t featured for the Gunners. Back in December, it was confirmed that the former Malaga midfielder needed a surgery to return and following his operation, Arsene Wenger – in January – revealed that the Spaniard would need at least three months to return to action. He was quoted by the Daily Mail as saying: ‘Santi is far from starting to run again. He had a little procedure and we have a meeting with the medical people today to see what it really was. ‘Santi is far from starting to run again. He had a little procedure and we have a meeting with the medical people today to see what it really was. ‘Certainly he will not be available in the next six weeks, that is for sure. ‘Will he play again this season? I hope so because once you start to go outside, you have to count six weeks’ preparation. ‘At the moment he is not at that level. But the Frenchman has now confirmed that he will be sidelined for the rest of the season. Cazorla’s contract is about to expire at the end of the season, but back in January, Metro sport confirmed that the Gunners had an option to activate a clause to extend his current deal for another year, and the aforesaid was practised at the same time. Arsenal are to play Liverpool in a decisive Premier League encounter next month and soon after that, Bayern Munich will give them a visit. 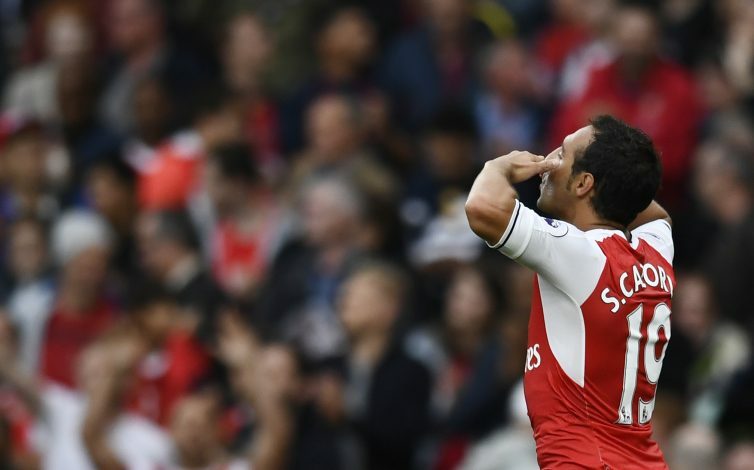 The elimination from Champions League is certain, but the Gunners do have a hope of competing in the Premier League, but with Santi out, there is a huge void to fill.